In this blog we delve into something we all know and love: food! Everyone has something they like and everyone has things they've yet to discover. What's on the menu today? As much as I'd adore to do a Valentine's-themed recipe, which shouldn't be that surprising considering the other blog I write, I was suggested to make pumpkin pasties! I'm sure we've all had the pleasure of biting into one of these delicious treats, but did you know there's debate about how they should be made? More often than you would realize, when one person is talking about their love of the pumpkiny treat and describes as "sweet" while the other describes it as "savory", they're talking about very different things! Now, you might be feeling confused or conflicted but don't concern! 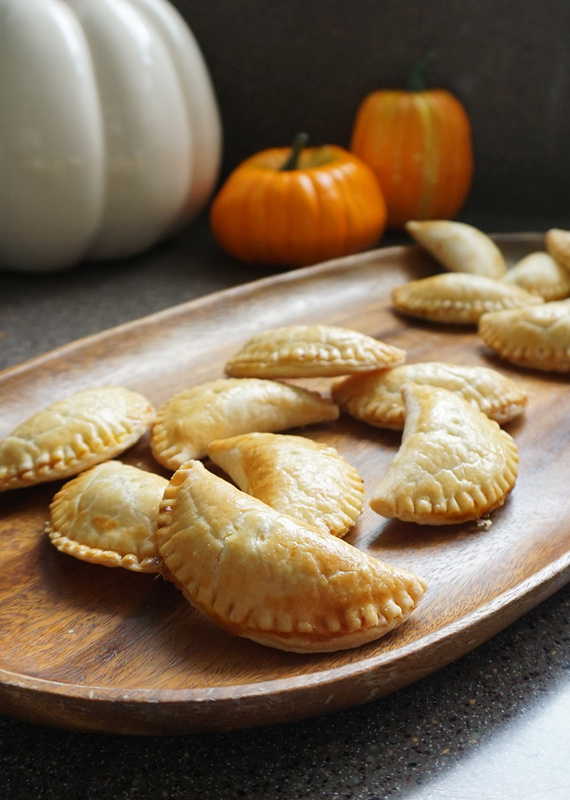 While you may have grown up on pumpkin pasties that closer resembled a sweet pumpkin pie or ones that were filled to the brim with cheeses and herbs, you'll feel at home in my kitchen! Today, I've cooked both kinds of this easily recognizable treat to be certain that I had every inch of ground covered. If there was a pumpkin, it was pastied! Onto my detail of cooking! On my quite lovely countertop, which had to be scrubbed down after a lava cake mishap, I first layed out the ingredients for the savory version. As much as I'd love to claim I'm a mastermind of multitasking, I'm far from it. Something would break or burn and the excuse to buy a new set of mixing bowls wouldn't be compensation enough for my failure of what's considered to be an often simple art. A can of orange paste sat beside a unique image of seasonings sitting on top of each other in a hand-painted bowl, resembling some kind of strongly scented and flaky sand art in a sea of blue glass. Soon, my freshly-cleaned countertop giving a nostalgic but faint scent of lemony cleaner was covered in flour. Distraught as I was with the prospect of cleaning all over again, I had a duty to fulfill! While I would've loved to give some in-depth, somehow calming, and slightly metaphorical description of all the herbs pouring into a bath of pure liquid and swirling about, there was only a thick orange sludge resembling baby food in their future. The herbs floated from their container, mingling in a short dance before the song was ended abruptly by their soft landing on a surface absorbing their minimal impact. With a dissatisfied sigh, all of the ingredients became one. Perhaps there's a metaphor in there somewhere, anyway. The rolling and cutting were all too uneventful after the trance I was put into by the mixing of ingredients, but I was filled with a sense of satisfaction as the pumpkiny mixture.. "thwap"ed onto the uncooked pastry. Following the steps to the letter, I crimped and cut the pasties and slid them into the warm oven with far less hesitation than last time. For I had remembered my oven mitts today! It was up until then that the house was still and quiet. 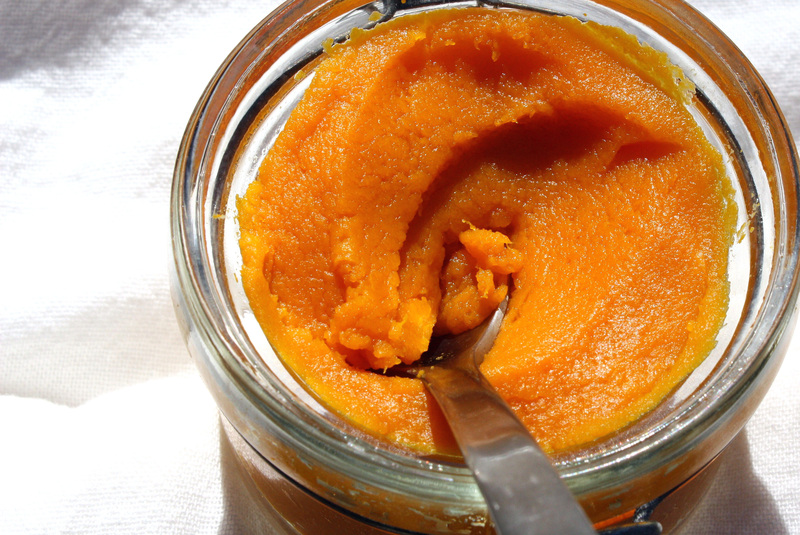 As the scent of pumpkin and herbs crept sleepily from the oven and wound its way around the house, it was as if a rumble of hunger resounded from the belly of the home. A thundering erupted from above me and before long I was swatting my half-siblings from the kitchen. Alas, my clearly exceptional cooking skills had not awoken the house: they had awoken the children. I have a tip for those of you who have siblings, half siblings, or people who broke into your house and refuse to leave after realizing you cooked. Did you know it's rather easy to bribe people with food? Handing off a few freshly baked pasties, soon the infestation of young children in my kitchen was amended! Perhaps I should cook more often if the offering of food causes such.. peace in the house. Onto the sweets! While I personally grew up on the savory pasties, I've heard there's quite a few who never even knew that version existed. I wonder how the two different versions could co-exist so silently, with very few knowing of both kinds. Assuming this would taste like some sort of pumpkin pie seems to be a safe guess, but you'll never know until you try it! After recreating a much smaller scale of the previous semi-crisis on part of a bowl of thick pumpkin combined with sugar and spice (and everything nice), the steps were rather easy to recreate after doing them once before! Removing the pasties from the oven, there was this sense of deja vu as I felt eyes watching me from just beyond the doorway. I hadn't been aware that when cooking, you must sacrifice some of everything for that is the price of quiet in this household. Rather than try the pasties myself, I first was intrigued by the thoughts of the children. To Stela, the savory pasties tasted strange but the sweet ones reminded her of holidays. Dana preferred "the cheesy ones with weird leaves". It seems he has yet to grasp the concept of herbs. Morgana Rosenberg This is amazing! Alya Black These sound amaaaazing... can I has one? now? I dun care about the food poisioning... pwease? and as a note to my dear twin: You better know how to cook since I burn everything. Chiara Alberstein Elaine I am so moving in with you to have delicious food like this!